"Easy to Use Email Marketing Tool"
The client administration is non-straightforward. Campaign Monitor makes numerous endeavors to concede your assistance demands through pages of FAQs and making it hard to discover their email contact structure. It would seem that they have a bring in line for premium pay clients, be that as it may, I didn't have any issues I expected to get in touch with them for while I had Premium Account. This is a great tool very fast and easy to use it helps me to create Campaign in very less time. And the prebuild template is also very useful for me. I also very easily manage the email list. "Campaign Monitor is excellent but expensive for companies with large audiences"
It was certainly a user friendly platform, which made for a good experience. It was easy to build out forms (lists) and single emails. The email template feature is also really great. It made our newsletter creation quick and easy. Not a fan of the pricing format. Also, I wish there was a template option for forms. For us we use a similar format for all of our forms (lists), so if there was an option to duplicate a list template that would save LOTS of time. The journey feature is not great. Way TOO simplistic for our needs. If you are first starting out on the nurture/drip/journey path, this may be a good tool for you. Marketing Automation - emails, nurtures/drips, list creation, etc. "Perfect small business ease, professional look & great small business value"
I love the overall ease of usage, easy and varied template options. The fee structure is a good value for small businesses with a decent sized email list. I ship worldwide, so the worldview option is a really cool feature for me, as is the clicks reports. There's honestly nothing I truly "dislike". Cool tweaks for the future might be things more like in template photo editing options, drag and drop placement in layouts, more varied layout options. If you are looking for a easy to set up & use marketing campaign software system, that is priced right for the small business and has a variety of features & reports included, Campaign Monitor is the email service for you. Simple set up, simple usage, you can even type over old campaigns using a past layout or make edits and updates instead of starting ne each time if you like. Immediate ROI for us as we are an internet retail company and good digital marketing is key for us. I didn't always have the need for an email service until we grew, but after several years, we built our email list up and have an online retail business, so we needed a service to solve some issues. Campaign Monitor reduced our bounce/spam rate, makes subscribing/unsubscribing much easier (and plugs ins for social media help drive subscribers - nice feature), and visually, we look much more professional now and can feature photos of products much better in our emails now. Cost was a factor in our decision since we are a small business & I feel the value we get for the monthly fee is affordable and worth it! I love the ease of using this email program! Lists are easy to sort and adding in new contacts is a quick process. Things are laid out very well and it doesn't take a lot of work to be able to learn to work with the program easily! I have found that the templates that they have are a bit difficult to work with and maneuver, but overall this is still worth working through because of the upsides of this program. Take some time to familiarize yourself with the layout of everything. Even just spending 1-2 hours at the beginning of your use will save you lots of time down the road. It is so much easier to automate my emails with Campaign Monitor. I can easily track analytics, which has been a game changer for my business! "Not all that I thought it would be"
Our customer success managers have been extremely unhelpful. Whenever I try to ask them a question they just send me to support. I’m not really sure what their purpose is because I feel like they know just about as much about email marketing as I do, so I can’t get much out of them. I hate that you can’t customize the HTML for email campaigns unless you build up the entire email design in HTML. I would consider other options. If you don’t care as much about the customizability within the email builder, don’t need much direction from your customer success manager, and aren’t trying to do anything too complex with segmenting, then Campaign Monitor is a great option for you. It is helping us immensfully with automation. It’s helped us realize the value in creating welcome campaigns for our subscribers. Campaign Monitor has also helped us realize the importance of personalization in emails, as well as segmentation. "Great overall solution for your email marketing campaigns"
The clean interface and feel of the speed of the entire application is something that makes you like it immediately. Then, the straightforward way of creating campaigns makes the entire process so simple. Over the years Campaign Monitor added several additions to the main tool such as automation, insights and transactional emails under the same system. They all work seamlessly and provide a great foundation for delivering to-the-point experiences to end users/customers. I would love to have more functionality on the visual editor when creating a newsletter - conditional content based on rules would be a great addition. Also, more complex automation rules would add more complexity to the paths that can be created. For example, if tags were implemented on the system, an external system could update tags for specific contacts based on activities (make purchases, fill in surveys, etc.) and then those tags could fire automation. If you are searching for a great,easy all-around solution for email marketing Campaign Monitor is a total fit. Campaign Monitor is an easy all around email marketing tool that helps our customers send great newsletters with high deliverability and excellent compatibility with most email clients (web, desktop, and mobile). The ability to provide separate access to clients under the same system makes it very flexible because essentially it can be marketed as a custom solution for email marketing. As an agency, the option to change the pricing per customer - if wanted - is a great feature. "Great email builder and trigger emails"
Templates, email builder, ability to setup popup forms and make personalized follow up emails(as they call it journeys). I think its a bit too expensive. Another thing, they didn't update their interface styles for more then 6 years. So it looks outdated inside even they add new features and keep it up to date. And at last, I don't like that they count each subscriber in each list as unique(even it's the same person in 2 lists). I think their implementation of the interface is actually the best in easiness. I never stuck for too long to find any feature I need. So, if you are considering it as your first email marketing service, it may be a great choice. Quickly setup lead funnel on a website with email personalization. "Finally! The perfect email solution for our organization"
I love Campaign Monitor allows you to easily design professional quality emails that grab your reader's attention. It does not require a degree in graphic design to make the layout look sharp. We transitioned into this new system very smoothly as we were able to transfer the lists effortlessly. I dislike that we didn't discover this sooner. The marketing of this company seems to be out competed by other major email solutions. I also dislike the foreign transaction fee since the company is international. You will not be disappointed. This has been an excellent service. We use Campaign Monitor to send mass emails to our subscribers concerning upcoming events and happenings at our garden. We have seen an extraordinary response rate. Not sure why, but since we switched over, we are garnering lots of positive feedback. I find campaign monitor a good platform for business mass email distribution. We have an email database of ~2500 which the campaign monitor software adequately serves. Like any software it takes a while to get your head around the ins and outs of how it works, but once learnt it is relatively user friendly to use. I found campaign monitor a little difficult to learn when first using it. However any software has a learning time associated with it. I find the cost is a little on the expensive side. Our database has just tipped over into the next price bracket which is considerably more expensive that the bracket we were in previously. "Perfect for crafting and sending newsletters"
Campaign Monitor is has one of the most comprehensive email builders I've yet to try. It a simple WYSIWYG model, but it works just soo smoothly and effectively, that crafting newsletters to customers become a very easy task. The campaign analytics and subscribers list management is also well done. Sending a mass mail campaign (for example, a newsletter to clients) doesn't happen immediately and sometines go to the promotion tab in the recepients inbox. Although, this is understandably, this is an issue with most email campaign tools. Campaign Monitor is one of the best email marketing tools on the market. If you looking for one (or even using something else at the moment) - give it a try! Sending comprehensive and beatiful newsletter and updates to our clients and subscribers in the easiest way possble. While segments are very customizable, it is not easy putting clients into these segments, has to be done manually one-by-one (there are shortcuts for adding a new contact). It's a good tool when you're starting out with email marketing as it allows for standard sending activities and basic email performance reports. Useful if you do one-off database purchases with stand-alone campaigns. Advanced users will find it limited. The ability to conduct campaigns, then monitor who opens and activity. This is actionable data which can be transmitted to our sales group. "Promote your products by innovative emails with campaing monitor"
During the short time I have used this application the truth is a very rewarding experience. Send high volume emails to a large number of people in undoubtedly the most innovative automated work that can offer camping monitor, marketing is a tool that is difficult to perform and more by email and with this platform allows editing and integration to be able to do it. It is totally safe and performs A / B tests that certify its quality. It also relieves the load because it contains automated responses immediately to customers. offers good themes for the creation of templates. This software has the best email marketing and uses the most sophisticated tools and provides a high volume shipping to many contacts at once. The security and personalization that the platform has with the use of creative templates is excellent. Basically with this software, I have promoted electronic mail marketing in a creative and effective way. this improves that the clients obtain a more personalized treatment and it is what the company likes most. for the designers it is waoo a fundamental professional tool for the creation and edition of totally colorful and sophisticated templates that help to improve their work, besides it saves a great amount of time of design and edition for the themes that are included in the campaign monitor. "monitor your emails with this application"
Campaing monitor is a very complete tool for email marketing with this software marketing professionals is the best weapon they use not only to attract potential customers but to improve their productivity and sell in better volumes. This application basically accomplishes that through campaigns designed by them that achieve the success of a product. In addition, it sends a form where you can collect all the client's information by registering them as contacts. Today you have to use powerful marketing tools to find markets and position your brand in another. the problem of these software like many others since not only happens with campaig monitor is that it may have many errors in the integrations, however this is responsible for solving it. On the other hand, it may be that filling in the form that you send may be a bit tedious for people who do not want to be filling out data and information for a company or a particular third party. Si como empresa no posees una herramienta como camping monitor adquiérela sin persarlo es un software que ofrece plantillas personalizadas, que utiliza marketing por correo electronicop y su interfaz es muy comoda y segura. Si quieres tener mejores resultados haz que pase con est aplicación. It will always be important to be able to reinvent yourself with the most innovative tools currently in terms of its price, it offers different versions and it does not seem very expensive. 1) Create a lot of content through successful campaigns where good results are achieved. 2) For the client creates more effectively visual trips more attractive and personalized. "Has some quirks, but really user-friendly!" I love that Campaign Monitor is intuitive to use and offers a variety of template options. The customization features provide just enough that I can work with my email without screwing it up. One pain point is that there's not a way to merge contact lists or update a contact on all lists at once. When updating contact info, it would be really convenient to know that the change was reflected for multiple lists. Campaign Monitor helps me create newsletters and send out helpful emails to large lists of contacts. It seems to have a really low rate of ending up in junk mail, which is ideal for obvious reasons! Another benefit is that the payments are per campaign, rather than paying a monthly fee. Some months, we don't need to use it, whereas other months are super busy! And the itemized approach makes it simple to expense to different accounts. "Great email marketing platform to start with"
Easy to upload contact lists, easy to create and edit campaigns. Make sure to look at the others that G2 has reviews on. I used MailChimp for many years and while Campaign Monitor is much cheaper than MailChimp, it doesn't stand up to it. CM is a great budget platform to use for outbound email. There are others out there that will do a little more for a few more dollars. Active Campaign is one of those. Overall CM is a good company and easy to work with. They have great support but fall short in only a few areas. Would be a good starting out platform to use. Solving email marketing automation and updates back into SalesForce. CM allows us to send email without having to resort to using Outlook. Its always surprising to me how many businesses still use Outlook to send outbound marketing email. While CM's email servers tend to not be as widely accepted by other businesses we market to, their support does do their best to help figure out what went wrong with hard bounces from blocked servers. List/subscribers are easy to use and add/delete contacts from. Support is very good and responds quickly. Many plugins for other platforms. I would also point out that the way that campaign stats are presented is not quite there as well. Would like some deeper dive ability to zoom in and out on a campaign. "Campaign Monitor - Easy for Newbies"
Campaign Monitor is easy to pick up from the get-go. As a small business, I don't have a lot of time to learn new features or dig into the nitty gritty details of some things. While I like that insights and data are accessible, I need simple to use features in the day to day operations of my business. We spent a bit of time on the front end training just a few members of our staff on the system and now it's pretty easy to use internally. Campaign Monitor is a bit pricier than some other options I originally priced out, but I ultimately landed on their service as they are local to my city and I found the customer service to be sufficient. I'd love to have a bit more access to direct customer support for small issues, but I've been happy with the support I've received in the past - it's just typical that response times are a bit slow. Campaign Monitor is a useful tool, but you'll need to allow yourself a bit of time to dig into the system to gain the knowledge to use it most properly. With just a bit of time on the front end, you'll be rolling easy for your regularly sent customer emails! Never before was I able to have access to detailed insights on open rates, etc. I was wasting money and time sending emails to folks that hadn't opened emails from us in years. We learned to comb through our list to make it more valuable to us in the long run. "Excellent email builder and so easy to use"
The ease of creating professional and creative email campaigns in minutes, if you have a few images and copy prepared. The world view is awesome too - being able to see email opened in real time, where and when. I like that you can give emails sent your own name, and email address for replies. Adds a really nice personal touch. It'd be great to have even more control over the design - such as being able to change icon styles, or being able to place social media share buttons in more than one place. Being able to upload images as background styles would be good too. Try other products alongside this - I come back to Campaign Monitor every time for ease of use. Being able to send highly professional emails, to say, a list of candidates from a careers fair, at short notice, is great. It provides a great candidate experience and it looks and feels way better than a standard email. "A middle of the road piece of software"
Campaign Monitor takes no time to pick up and use. The emails you can design look slick, and it comes with the usual features you'd expect. Although easy to get to grips with, if you choose to use an html or block template approach, that's a choice you have to stick to. Unlike other email software, if you want to play with any HTML within the block template approach, it isn't there. Slightly frustrating when you're able to do this with Dotmailer and Mailchimp. Campaign Monitor supports my outbound marketing, making it a key part of the digital mix. Its ease of use means I can pull together emails in no time to get the creative juices flowing. "WONDER WHY THE TWO FOUNDERS ARE THE WEALTHIEST IN AUSTRALIA? EASY THEY HAVE DODGY BILLING PRACTICES"
Escalated to Head of Customer Service - obviously the poison starts at the top of the Ivory Tower. I made a complaint about billing and they even billed me two days after my complaint - then offered to refund that and expected me to be happy! How they have a rating this high surprises me as my experience has been terrible. Remember this is now a highly competitive environment with lots of choice - my advice, DO NOT CHOOSE CAMPAIGN MONITOR! Use another service - their customer support is terrible - especially at the top of the business. "The best way to Manage your Email Marketing"
First of all, it is free and it is one of the best email marketing tool available in the market. The way they design the dashboard makes it easy to learn about it. They have well designed and simple website with easy navigation. Even though beginner can design, send and built subscribers using Campaign Monitor. Campaign Monitor is really good If you are in the field of blogging, marketing etc.. Use Campaign Monitor and thank me Later. I really can't able to think anything bad about Campaign Monitor. Because as long as I use Campaign Monitor I feel good and it really helps to get some traffic. As the blogger, I feel Campaign Monitor is the best way to promote my blog via E-mail. Before getting into the service of Campaign Monitor I like to use some of the other email marketing but I feel something more with Campaign Monitor. Campaign Monitor really helps me to get some traffic and get some sales by emails. I like the Campaigner email on boarding process for new companies.We recently signed up to use this for our email marketing campaigns and I must commend the effort put in by the support team at Campaigner email to get us integrated and started on the right footing with this program. My favorite feature on Campaigner email so far,is how I am able to schedule newsletters to be sent to our email user base on Saturdays ,which is a work free day ,thus ensuring I do not need to send these emails from home. The layout and aesthetics of Campaigner email can obviously be made to be more intuitive and modern. We use Campaigner email to provide regular,timely information to our customers and users on a regular basis relatively for very cheap. I love the overall ease of usage, easy and varied template options. The fee structure is a good value for small businesses with a decent sized email list. I think it ships worldwide, so the worldview option is a really cool feature for me, as is the clicks reports. not much really. Cool tweaks for the future might be things more like in template photo editing options, drag and drop placement in layouts, more varied layout options. "Campaigner email takes our email campaigns "
Campaign monitor is intuitive and easy to use.I was able to create my first newsletter the very first day it was introduced into my organization.I like the sheer number of email templates I am able to select from,to use for our weekly newsletters. The best part of Campaigner email for me is how we are able to set email triggers ,depending on the actions of a customer.From when they newly signup for our service,to when they make their first purchase etc More importantly,I must say I am impressed with high level of email deliverability we have experienced with Campaigner email,in contrast to similar products we tried out in time past. Campaigner email is a fantastic email marketing tool.We have used it for the past one year and honestly,it’s been a perfect fit for our marketing plans. Campaign monitor makes it easy to manage ,measure and effectively measure our email marketing campaigns.Allowing us continuously put our brand in the faces of our leads,past customers and current customers. "Incredibly easy and intuitive email platform"
I was able to jump into Campaign Monitor and in a matter of minutes develop a newsletter for my non-profit. It was so simple and seamless. I also like the pay as you go model. I'm only sending to @500 people so the cost is very affordable. I can't think of anything! I've used just about every email platform out there and this is by far the easiest and most intuitive. I had zero background or training on CM and I was able to jump in and get an email created and deployed within minutes! For my animal rescue, we don't have a lot of extra budget for marketing or PR. Campaign Monitor made it simple to get a communication stream going with our subscribers and it has helped us raise incremental funds when we have a special case or urgent situation. It is a great vehicle for us to reach our community. "Non-Profit use of Campaign Monitor"
I enjoy using Campaign monitor because the templates make it easy to use and to send visually appealing e-mails. I also appreciate the analytics Campaign Monitor provides. This helps me to track open rates for the emails we send and to be able to follow up with those who have not opened the email yet. You pay by the number of contacts you have not by the number of contacts you use, so you have to be very diligent about cleaning up your list if you only want to send someone an email once. Also, when trying to integrate plug-ins it can be difficult. We are trying to link our Campaign Monitor with a donation software and the plug-in was complicated and created problems with launching the campaigns we wanted to launch. Also, the lists that Campaign Monitor allows you to create does not allow for people to be included on several lists and they charge you for a person again if you want to add them to several lists. Create better ways for lists to be created and used. There are many emails I would like to send to all of our lists and I am unable to without clicking through every list to add it to a campaign. Campaign Monitor allows us to send mass emails with lots of imagery to many people at once. It also allows for drip campaigns to be set up and to help follow up with our contacts. I’ve used Campaign Monitor for years and am impressed with the improvements they’ve made to the automation tools and email building wizard. They have a great library of email templates that I use often and it’s easy to see all the analytics for email campaigns. The hardest part of using Campaign Monitor is the list management. It’s not super intuitive to organize your lists- especially if you have a lot and use several email flows across your user base. One other thing is that we have gone through a lot of account reps, which makes it hard when we have an issue. Campaign Monitor has helped us create an onboarding flow to communicate much more effectively with our new users and help guide them through the process of setting up and using all the software tools we offer. "The ALMOST perfect platform for email marketing!" There are a lot of things that I love about this platform. I used to use Mailchimp for our email campaigns and saw an ad for campaign monitor and gave them a try as they offer journeys. Journeys are something that has cut my time down SO MUCH as Mailchimp does not offer journeys. Another thing that has made me fall in love with campaign monitor is the fact that the suppressed list is saved regardless if you delete lists you've created or not. You can also upload unsubscribers manually which I had to do as I moved from Mailchimp. The only thing I would recommend is to offer a more visual builder for the email templates. At the moment the way to design your template is to import it as a web file. Sometimes the file is imported and I have to go back and manually edit the code (HTML) to make sure the template is sent looks the way I want it to. I have definitely solved the problem of having to manually compile contacts that opened/didn't open emails from a campaign with the journey feature. "Easy to Learn, Easy to Use & Cost Effective "
Templates! There are around 50 templates available and they all look great and easy to use. This may seem like a low number of templates but from what I've seen from others such as MailChimp, I prefer CM templates. Pricing is a little high compared to others. However, we had a client who has paying over $5,000 a month for just email marketing and with CM, they know pay $1,100 for the unlimited plan. It makes the client happy and us happy, so we don't mind the price. Also, reporting is pretty basic and support is limited to email only. We highly recommend giving Campaign moinitor a free trial! It's interface is excellent and easy to use, templates are straightforward and look good, and you can use certain web fonds in templates, which is great for branding! One of the main things we want to be more efficient on was auto-responding and marketing automation with emails. CM is very easy and you can use data segmentation to ensure relevant groups of people get the right message. "Campaign monitor makes basic email marketing easy"
I only use Campaign Monitor really for only basic email marketing campaigns... and they do make it easy! Adding new email lists, adding a new email template (and editing that email template) are all super easy and straightforward tasks. Can't really complain! Like I said previously, I use Campaign monitor for pretty basic email marketing tasks. So if you are looking for a pretty affordable and easy-to-use email marketing platform, Campaign Monitor is a good choice. I like that we can take our iPad to trade shows and using the accompanying CM app have our attendees sign up their email accounts, and then every email address is added to a list in our account. It makes sorting through email addresses and targeting out customers so much easier! There isn't a place to insert a PDF, so I have to use another site to create a link for a PDF to insert into emails. We are reaching customers who may not have a physical address. We are in the glass replacement business, and some businesses are done out of trucks. It's also nice to be able to target our areas, for example, when we have a branch move, we can target that area with our lists, versus sending out an email to all 8,000 of our addresses for something that only one city needs to know. "Gives my small business a big-company look"
Gives you the ability to preview exactly what your emails to prospects and buyers will look like. Easy to tweak until you get it just right. Good flexibility in text formatting and image inclusion. We needed to have our developer create a custom template from scratch that exactly matched our requirements and gave us the look and flexibility we sought. Occasionally we need his help to tweak format/appearance. Check whether their templates will meet your needs, or if you will need a developer's assistance. We need to send customers multiple emails that confirm purchase, provide an estimated ship date, notify that an item has shipped, supply assembly & care instructions, etc. In Campaign Monitor we store a library of these various transactional emails, which are easy to update and to trigger. "A really good mass mailing solution"
I've been using Campaign Monitor for about a year and so far I have only positive things to say. It includes every necessary element to enable you sending email marketing campaigns to your clients and subscribers: from mean to collect subscriber emails, to an intuitive newsletter builder complete with decent analytics and campaign statistics. The pricing is fair and the features are worth the tag. Not the most precise email tracking. When you send a campaign it has about 2% of false or no detection for email openings or link tracking. We've discovered this during our tests and it all may depend on the extensions and blockers you're using, so your millage might wary. A decent alternative to Elastic Email and similar solutions. Try it out if you need to quickly compose a n email campaign and tune up the results based on the open statistics. Using Campaign Monitor to carry out marketing campaigns via emails. It has a very comfortable newsletter builder so it saves time on design and a pretty decent (comparatively) email and open tracking. "It is a very good tool to create and send emails with very dynamic and interactive information campa"
I love the fluency to make configurations of any kind on the page, it is easy to use and flexible when carrying out informative campaigns keeping a clean and modern monitor that is understood with great simplicity, maintaining a great access to the statistics of data export in any moment It has a software and technical support Wonderful, in conclusion a great tool to work. I would like to make the templates have more capacity to expand and better quality in their images, the rest is an application too useful and good for work. Allowed to spread through the implementation of information campaigns about our services offered by emails that were delivered quickly and easily in real time to our customers allowing the increase of our productive in the company. "I really like the support at Campaign Monitor"
I like the support the best because when I first started using Campaign Monitor, they provided a library of training videos. These were important because they introduced me to a lot of opportunities within the software. I dislike the pricing as you scale up and need more from the software. When you need to scale up but find a tool that will definitely work, it’s hard to know the right choice. There are plenty of great features available in Campaign Monitor. Just be sure that you need the features you are paying for because it can be easy to overpay for features you don’t need or could find elsewhere. We are solving the problem of getting in touch with customers immediately. The automated emails from Campaign Monitor are particularly important to us. "Campaign Monitor is easy and effective." I like how easy it is to import contact lists and how I'm able to add email addresses to the do not contact list if necessary (this ensures that that email address with never receive an email from you). Also, it is easy to manage several campaigns at one time and allows you to send a test email to yourself before launching a campaign. Honestly, there isn't anything integral to Campaign Monitor that I would change. It might be nice to change up the look as it is a bit boring. Also, they recently raised their prices with is disappointing but understandable. I would definitely recommend Campaign Monitor for those without much experience launching online/email campaigns. It is user friendly and you can also give access to your advertising agency (if applicable) so they can upload the templates for you. We are using this platform to send email campaigns to our patients. This is helpful in increasing our follow-through rates. "My Experience with Campaign Monitor"
Campaign Monitor is very user-friendly and the minimal coding that is involved is easy to learn. I like that we can organize all of our political clients on one platform. It's easy to customize the templates for each of my clients and it allows you to organize the content of your email blasts. It can sometimes be touchy when uploading new subscribers. It completely locked me out of our account for about 48 hours, which was very inconvenient. I do understand the reasoning to prevent unfair targeting of subscribers, however. I just wish there was a better customer service feature available to users. I recommend Campaign Monitor for companies who are looking to send out mass email blasts on behalf of their clients. It's easy to use and helpful in getting results for clients (especially political clients). I mainly use Campaign Monitor to send out press releases and fundraising blasts for my political clients. This platform allows us to reach a broad audience of potential donors and supporters of our candidates. I have realized that the open rate increases exponentially depending on who the email is from and what the subject line is. Campaign Monitor created value for small and micro enterprise from day one, and keyed into creative agencies providing email marketing their white-label and agency reseller. For all clients, that means keeping the Customer Experience superior in serving their customer and end user. Lack of telephone support, but that's rarely an issue and their email support is quite responsive and detailed. Providing email marketing services to our web design and development clients has enabled us opportunities to integrate and consult on email marketing, and service one of the best ROI components of digital marketing ecosystem. Campaign Monitor's understanding of that relationship, and building a user friendly yet powerful platform makes it an easy recommendation. Their templates set the standard for others to follow, and their graphical automations and testing make it a breeze. "it is the Right Place for email marketers"
They have a great team of customer support who will take you through the necessary steps in Email marketing. The product helps you in creating a great content for your goods and services leading to a higher conversions. You can upload data from various sources without much struggle. It has an option of drag and drop of data making the work of the user more simpler. Lack of instant online chat was a big challenge whenever I was using the product in the early stages of implementing. It is the best place for your email marketing. It is affordable making small and big companies to afford the product. It helps to reach a great number of potential customers via newsletters from different parts of country. "Easily create professional marketing communications." As a fairly new user, I was surprised and delighted by the ease of use. The interface makes it simple to pull content blocks together and offers flexibility to tweak the settings, like spacing between content, which results in a more professional looking campaign. I believe it would be beneficial to have a pricing tier in between the starter plan and the next level. For many of my clients the level 2 package offers more than the need, but the starter isn't quite enough. Definitely consider Campaign Monitor for your small-medium size business needs. The tools has a great interface which makes it easier for business users to navigate. Quickly pull together professional email campaigns and newsletters without the need for a custom template or designer with html experience. Creation is more intuitive and faster than with other tools I have used. "Good enough if you are running small marketing campaigns"
It is a basic tool but I like the fact that unsubscribers are tracked and automatically excluded by next sends, it is easy to upload a list as a segment and to amend the HTML of an email without re-importing the code. "Easy to Use -- Could be improved"
We chose Campaign Monitor because of its integration with Salesforce and its pricing, as well as its eas of use. On the first and third of these, it delivers. We were taken aback by the monthly cost which, to our minds, included some hidden fees. For example, there was a month integration that caught us unawares. Plus, contacts are double or even triple counted if they show up on various subscription lists. I would just advise that you consider ALL the costs involved, from any monthly costs associated with integrations, monthly users, etc. I love how easy it is to do everything in Campaign Monitor. You can get an email created in a very short amount of time, which is great! It would be nice to have more information on users. It's not a CRM, but if there were more features to better understand engagement levels of users it would be really helpful. If you're looking to create great-looking emails quickly, Campaign Monitor is a great solution! Especially if you have multiple clients. The marketing dashboard makes it very easy to manage. We use the software for ourselves and our clients. It has great functionality and it's very easy to train new employees on. We also appreciate how they don't charge you extra for additional users! "An Quick Overview of Campaign Monitor"
It's very intuitive, without sacrificing functionality. Make sure to assess your organization's needs before committing to any email automation solution. This solution allows for very robust tracking, reporting, and segmentation of your database. It may be more than you are looking for if you only have a small to medium sized database. At the time our organization was looking for a more powerful tool to create customized, automated, and reportable email communications to its lead database. This tool allowed us to support a marketing strategy that delivered against the organization's growth objectives. We were able to customize the email templates easily to better align with our other digital footprints for consistency in the eyes of our customers. We were able to analyze and report on the status of our initiatives quickly and easily to the c-suite of the organization. Without having to constantly engage with designers or custom developers, we were able to create more effective communications that increased our ability to drive leads and monitor their activities through our sales funnel. Campaign Monitor became an important solution within our sales strategy and was easily manageable with a small marketing and sales team. In particular our marketing team was able to spend more time using the valuable data being captured instead of being stuck in a more cumbersome system trying to get it working the way we needed it to. "Good tool with strong UI and easy deployment process"
The wizywig for email template creation is extremely easy to use. The insights tab is also a helpful overview to provide baseline performance for a company's entire instance. Beyond timeframe, there aren't filters to incorporate, but there are alternative reporting features for more detailed analytics needs. Moving from an email template to custom code is not possible. Editing the code for an entire email instead of just one table within an email template is also not intuitive. The previews for mobile are not entirely accurate, which I have seen with other tools too, most of which outsource that functionality to Email on Acid and Litmus. It would be great to have similar functionality to Google doc so that multiple users can editing one email simultaneously, but I don't expect that to become a common feature for any marketing automation tools - it would just be really helpful when they are many end users who need to collaborate. Compare MailChimp and Emma as those are the most comparable tools in my experience. Campaign Monitor is a good tool for companies with many end-users managing different, mutually exclusive email sends at the same time. We have other tools to support automated and more logic intensive comms needs with our companies' users, so Campaign Monitor fits a specific use case that needs to be supported for most teams internally. We use Campaign Monitor to support independent teams, emailing internal stakeholders and their own external constituents, with emails that don't need extensive personalization or automated functionality. Our favourite feature which differentiates Campaign Monitor from other email campaign software is their email open map that shows email opens in real-time around the world. When users open your email, a little pin pops up on a map. It is a really great way to visualize the impact of your email contacts. The only drawback is that there isn't as many native connections to different platforms such as WordPress in comparison to MailChimp. We use Campaign Monitor to help our clients reach their customers. Campaign Monitor allows you to create visually appealing emails that work on mobile as well as desktop - so we are able to reach our customers where they are. Our open rates with Campaign Monitor remain high, and our clients have come to expect great results. "A Step Above Mail Chimp"
Upgrade from Mail Chimp for better deliverability and user friendly email templates that look great across all devices. Campaign Monitor has given us an easy to use email marketing solution that delivers eye catching emails and ensures deliverability with domain verification. We have also been able to set up and automate some email journeys for form submissions and client welcomes. "Excellent but not suitable for large, longtime higher ed audiences"
Mailing list management is great (specifically the custom fields and segments) and you get very detailed and nicely designed reports right after sending each “campaign.” There’s even a map that shows each open and click in real time. It is easy to compose emails. You start with your choice for a basic templates and then customize). The interface and steps are clear throughout the experience. Everything "just works." I don’t think I ever needed to contact customer support. The documentation is great -- comprehensive and clear. As a bonus, on the CM website there are a lot of terrific email marketing info and resources. Read their policies carefully. Campaign Monitor doesn't just stick to anti-spam laws, it goes a bit further by requiring all your recipients to have expressly opted in to your email list -- and you will be asked for proof. Reputation-building and keeping our brand in our constituents’ radar throughout the year. We need to send out well-designed, mobile-friendly communications to a large base of donors, faculty, 40,000 alumni and diplomatic/PR contacts. Although we are not able to use it for all our email campaigns, when we do use Campaign Monitor it saves our staff time and helps us get very good click rates (we’ve had as high as 45%, which we didn’t expect). 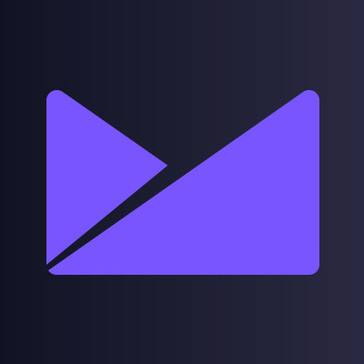 "Campaign Monitor: make your emails work for you"
Like they say in the website, Campaign Monitor is "Powerful email marketing with drag-and-drop simplicity". They have it all. A few years ago, when I started using it, you'd just got the basic newsletter system. They have it like everybody, but with better taste and good UX. Now they also offer automation. How about sending a newsletter every month with your last posts? Or start a drip campaign after someone subscribes your mailing list. They also have transactional emails (I never used, but looks great). A few things feel wrong, like some pages in their site don't follow an unified design. If you're a designer, like me, you may need to forgive it. Where's the navigation in that page? Why titles are using different font sizes and families? Did they use several designers that don't work at the same time? Emails can make miracles. Do you have customers? Keep compact with them, keep they close. Are you looking for leads? Nurture your target and look for your public. With Campaign Monitor you can do several uses of email: newsletters, automation and transactional. Maybe they are not the big guys in this market, but Campaign Monitor is doing a great job. * We monitor all Campaign Monitor reviews to prevent fraudulent reviews and keep review quality high. We do not post reviews by company employees or direct competitors. Validated reviews require the user to submit a screenshot of the product containing their user ID, in order to verify a user is an actual user of the product. Hi there! Are you looking to implement a solution like Campaign Monitor?